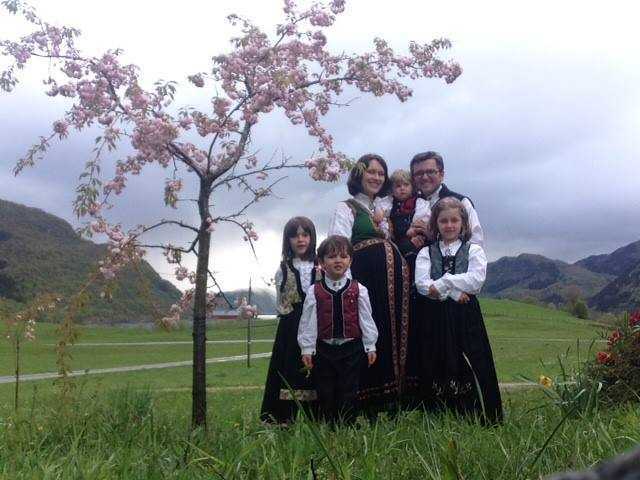 On Nov. 16, Norway’s child welfare services, the Barnevernet, seized Marius and Ruth Bodnariu’s two daughters, two sons and their baby, Ezekiel. The two eldest children were reportedly removed from school without their parents knowledge, and then Barnevarnet representatives arrived with police at the Bodnariu home, where welfare services seized the remaining children, minus the baby. The organization returned the following day and removed the infant as well after the family tried to resolve the matter at the local police station. On Nov. 18, the Barnevernet told Ruth Bodnariu that the children had been split up with two separate families. An online petition calling for the return of the children has already been signed by over 26,000 people. A Facebook page created to support the family, however, provides some insight from Marius Bodnariu’s brother, Daniel, who is a pastor. He explained in a statement on Wednesday that the children’s principal contacted welfare services after expressing concerns over how they were being raised, including in regard to the family’s Christian beliefs. “The girls told her they are being disciplined at home. [She also said that] the girls are ‘challenging’ in the sense that they talk a lot and do not want to obey the school rules, but are creative and intelligent,” Daniel Bodnariu outlined. In a hearing on Monday, the Bodnariu family lost their appeal against the removal of their children. The court ruled that the couple could visit their three month old twice a week for two hours, as well as their sons, but could not visit their daughters.